Leading Manufacturer of long barrel pu keychain 3 in 1 wallet combo, oval keychain & metal look pen, 3 in 1 wallet, hut shape with pu strip keychain, oval pu keychain, 3 in 1 wallet and barrel pu keychain & 3 in 1 wallet combo from Delhi. Set of 3 : Long barrel PU Keychain, 3 in 1 wallet (For cash, cards and visiting cards) & Metal look Pen. 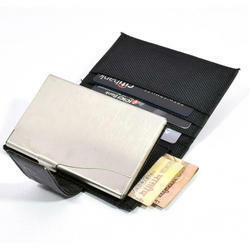 Wallet is designed to be used for cash, credit cards and visiting cards. 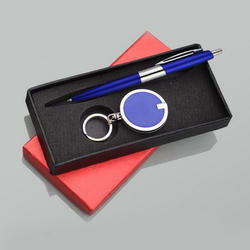 A gift set made of beautiful design metal look pen with 6 side branding space, and long oval keychain. Both products can be laser engraved. Set of 3 : Rectangle PU Keychain, 3 in 1 wallet (For cash, cards and visiting cards) & Metal look Pen. 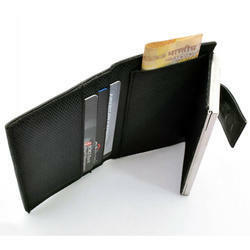 Wallet is designed to be used for cash, credit cards and visiting cards. 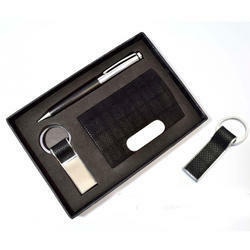 Set of 3 : Hut shape PU Keychain, 3 in 1 wallet (For cash, cards and visiting cards) & Metal look Pen. 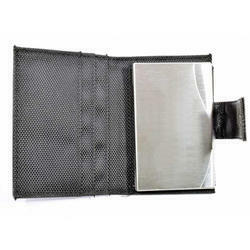 Wallet is designed to be used for cash, credit cards and visiting cards. Set of 3 : Oval PU Keychain, 3 in 1 wallet (For cash, cards and visiting cards) & Metal look Pen. 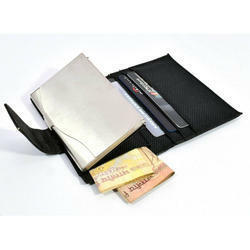 Wallet is designed to be used for cash, credit cards and visiting cards. Set of 3 : Barrel PU Keychain, 3 in 1 wallet (For cash, cards and visiting cards) & Metal look Pen. 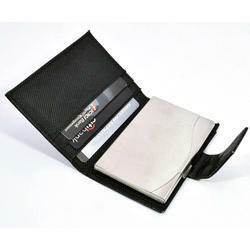 Wallet is designed to be used for cash, credit cards and visiting cards. 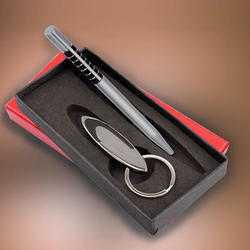 A classy metal ball pen which can be engraved with your name. Looking for Gift Sets ?